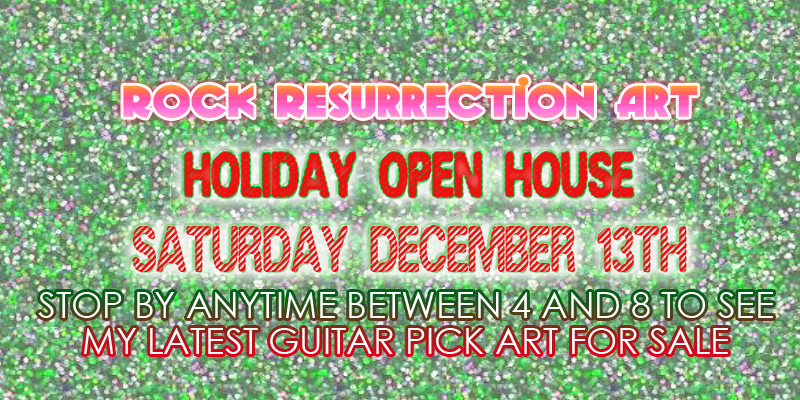 Stop by for Rock Resurrection Art's Holiday open house! This will be just in time for the Christmas season! Come see my new work, and enjoy some wine and rock and roll music with me. Oh yes, and there will be cheese, brownies and a contest drawing! Call or buzz Becca Jones-Starr when you arrive.